Easter isn’t celebrated in Bangkok, today is Good Friday and it is just another working day. Unlike Christmas where decorations were everywhere, shops were having Christmas specials and it was clear it was a festive time, I haven’t seen anything Easter related at all. 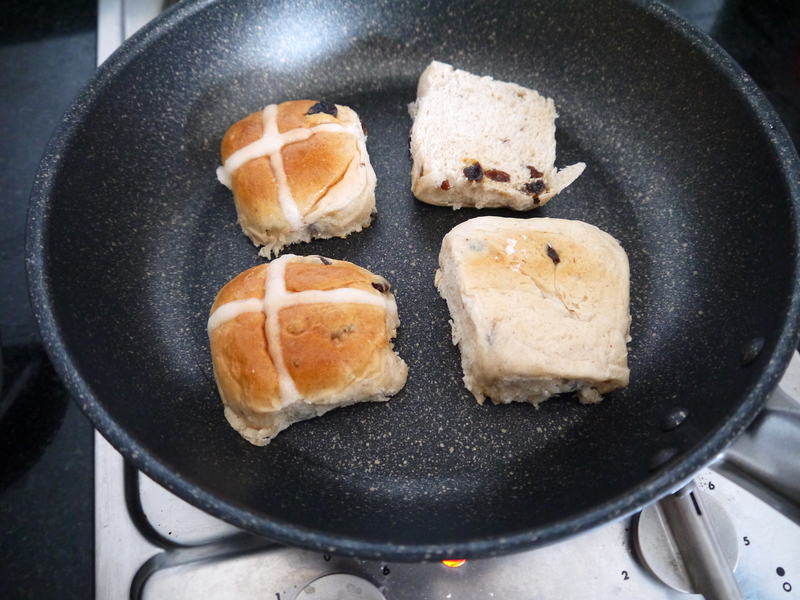 Until someone told me about a Bakery, which had an Easter special, Hot Cross Buns! The Bakery is the Bangkok Bread Boys and they deliver right to your door. 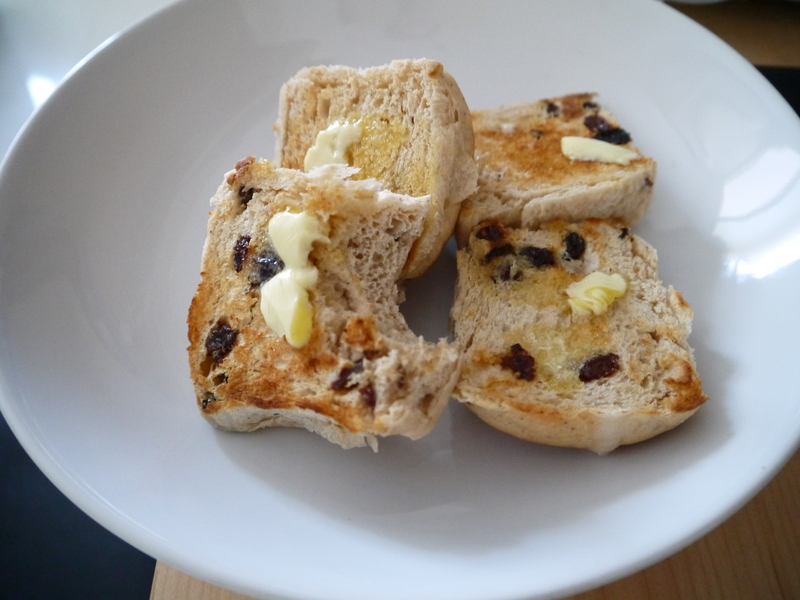 Yesterday my freshly baked half dozen Hot Cross Buns were delivered and they went down a treat for breakfast this morning. I’m saving a couple for later in the weekend. 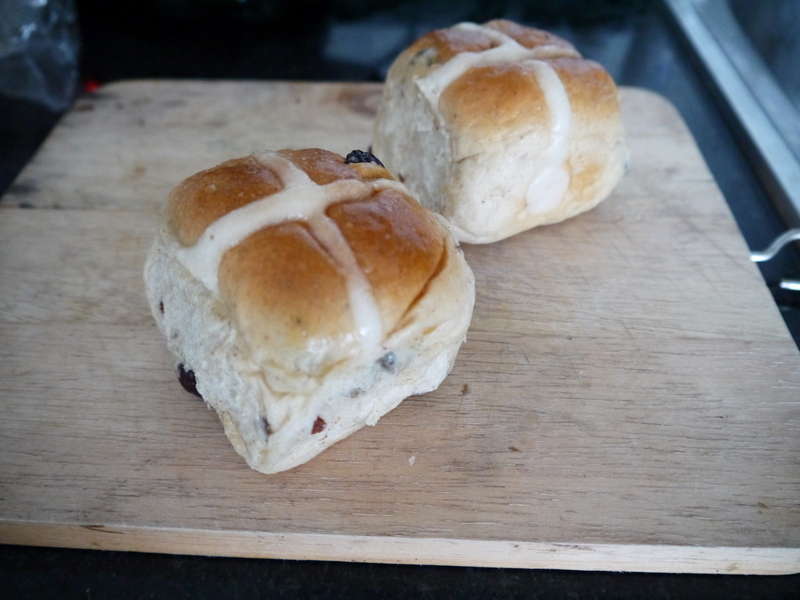 They weren’t the best Hot Cross Buns I have ever eaten, they could have done with a little more spice, but they were like a trip down memory lane of eating Hot Cross Buns every Easter for the last 20 years. I am so glad I spent the 180Baht and got to experience a little bit of Easter in Bangkok. It’s too bad I couldn’t find Easter Eggs. Great post 🙂 we found ONE chocolate Easter egg in Bangkok, so of course had to buy it despite it costing more than our dinner! « Monday Madness – How do you like your Vegetables?